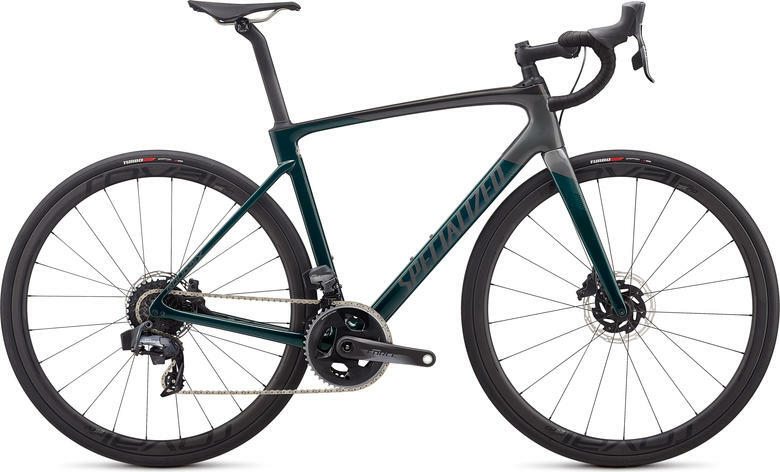 Specialized have been on a roll of late, working through their core range and comprehensively overhauling each model with the latest tech (and some very lovely paint schemes). 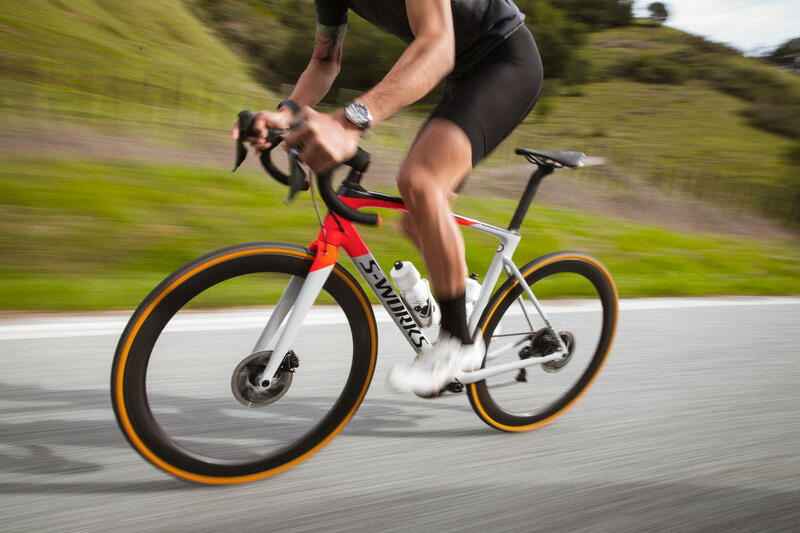 We've already been impressed by the likes of the new Venge, now its the Roubaix's moment for the spotlight. 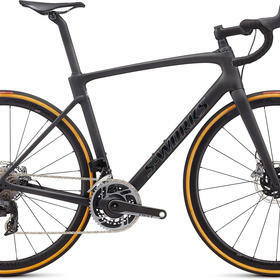 The Roubaix is the endurance member of Specialized's road race family. Designed to excel in the cobbled classic races, and race-proven there by the Pros, that translates for the rest of us into a bike that's fast but comfortable - the perfect "long day in the saddle" machine and ideal all-rounder for most of us, most of the time. 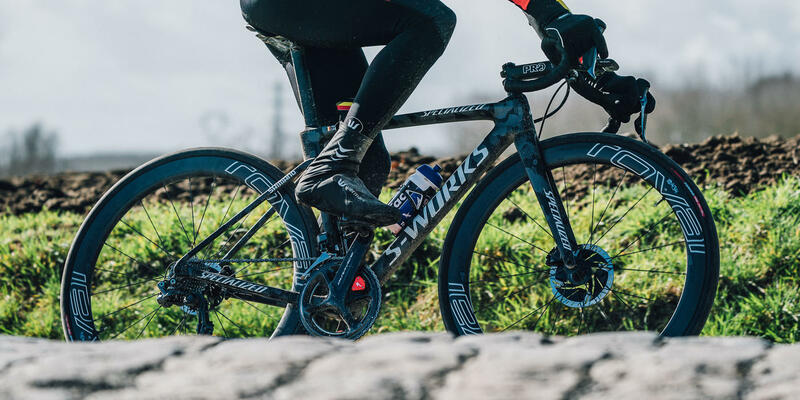 The latest Roubaix brings significant aerodynamic design changes, tested as always in Specialized's own in-house wind tunnel. The emphasis here is very much on performance first, but without compromising on comfort. 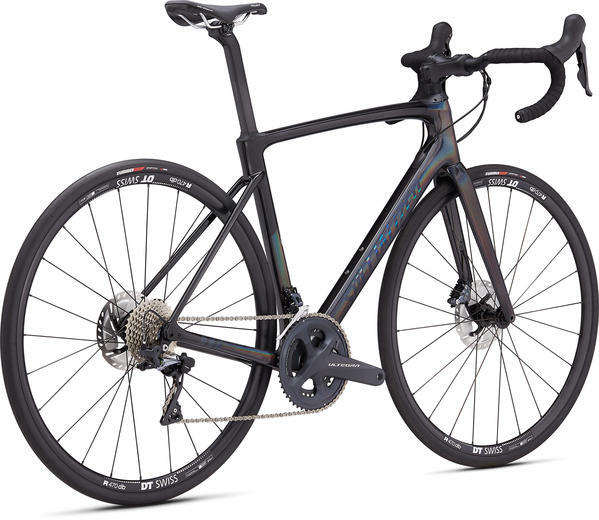 An endurance road bike, with genuine comfort, without any aero penalty. 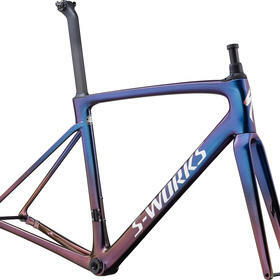 It's light too, at under 900 grams for the frame (in 56cm/black). Specialized have always said "Smoother is Faster" and there's a lot of truth to that - the less fatigued you are the quicker you'll be. 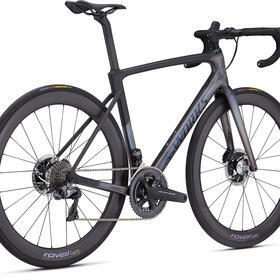 What the new Roubaix does is provide that smoothness with fewer compromises than ever before. Naturally it's also designed to handle wider modern wheelsets, accepting tyres up to 33mm width. Larger volume tyres provide so many benefits, from decreased rolling resistance and improved grip to, of course, extra comfort. And, joy of joys, the whole Roubaix range is now equipped with traditional threaded bottom brackets, a triumph of creak-free common sense and practicality over fashion. There's no "tech for the sake of it" here, everything has a purpose. It's fair to say that the original FutureShock design, effective as it may have been, was getting a little long in the tooth. 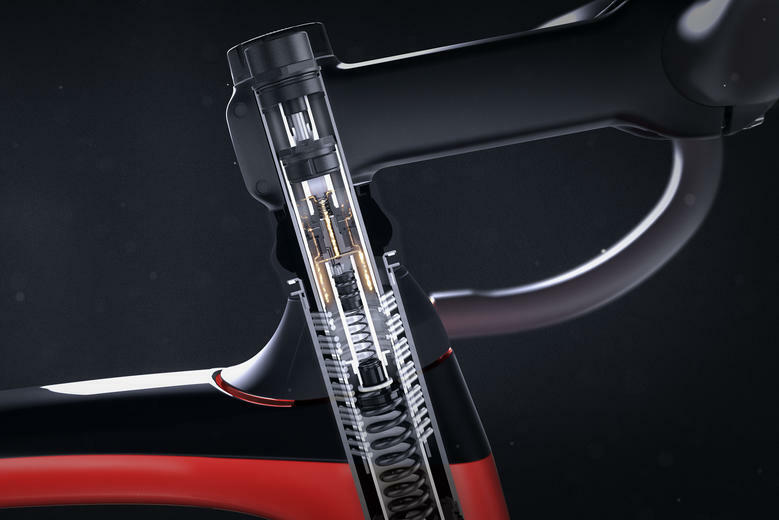 This redesign brings things bang up to date, and allows for easy "on the fly" compression adjustment via a control on the stem (with hydraulic damping looking after the rebound). This easy adjustability allows the Roubaix to perform optimally on a wide range of surfaces, ensuring you have maximum control and minimising fatigue. They've also tidied up the looks, with a new smooth outer 'boot' giving a sleeker and more integrated look to the front end of the bike. 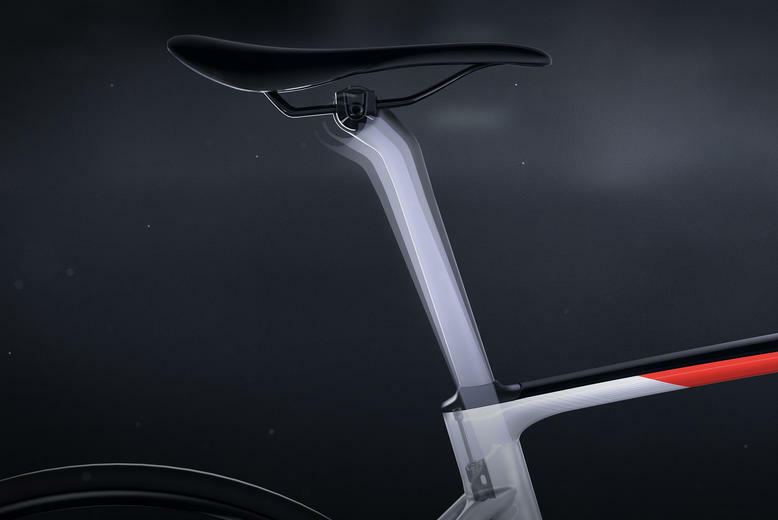 Specialized are proud of the fact that this is the first aerodynamic "compliant" seatpost. 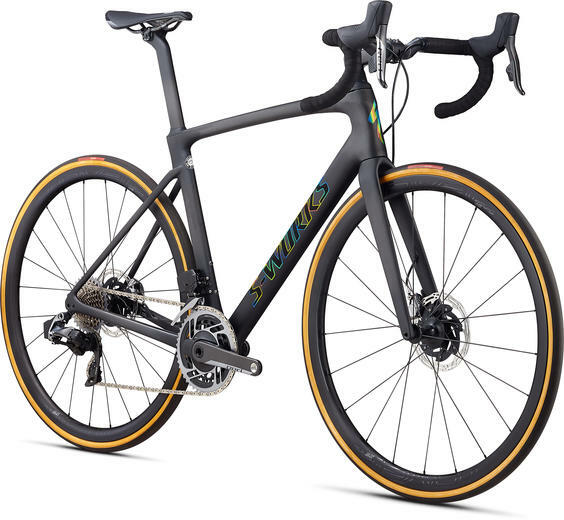 Using a complex carbon fibre layup to provide flex without sacrificing strength, the Pavé doesn't have any fussy mechanisms to increase weight or complicate servicing, it's all in the shape and construction. They've also dropped the seatpost clamping point lower into the frame, to really make the most of the flex available. Of course the post is carefully tuned to work as part of the whole bike and complement the FutureShock 2.0 at the front end. 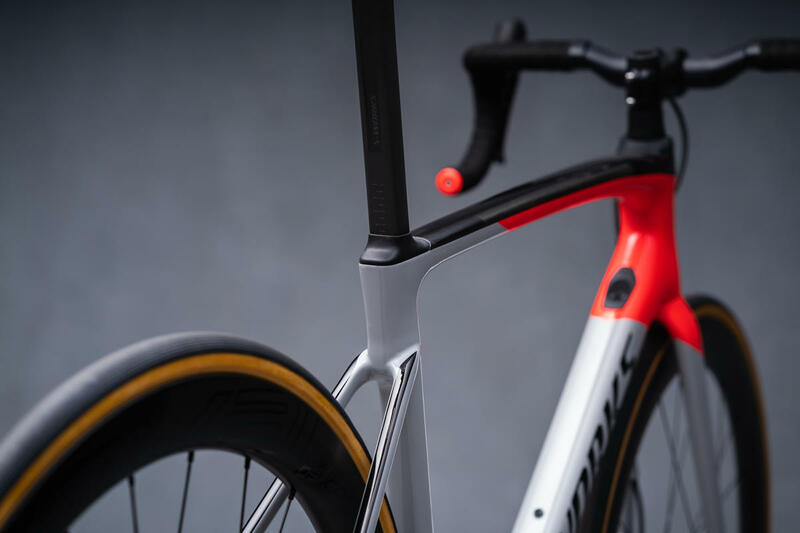 The Roubaix is available in frame sizes from 44cm to 64cm. 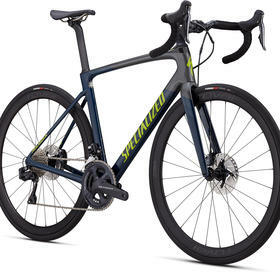 Specialized are in the process of rethinking their approach to men's and women's bikes, and as bike fit specialists we very much approve. Gone are the token labels for "men's" and "women's" specific bikes - the new range is complete and cohesive without any superfluous gender tags. It's simply a case of which bike fits you best, which is the way it should always be (and always has been, at Bespoke). Yes, men's and women's saddles are necessarily different, and of course there are multiple width options, but bar width, stem and crank length, seatpost layback, these are all specific to the individual, regardless of gender. 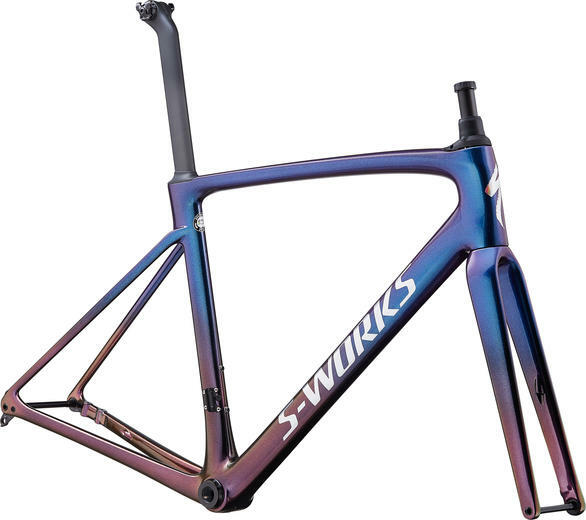 So, after a bike fit, included as part of the purchase process, we establish which frame will suit you best, and even if you're buying a 'complete' off-the-peg bike we'll swap any contact points as required, at no additional cost, to ensure a perfect fit. 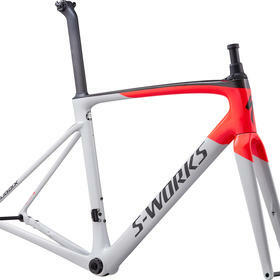 As always the range-topping S-Works models will be available as complete bikes or as framesets. Whichever you opt for we'll include a Bespoke bike fit as part of your purchase, ensuring that your Roubaix is the perfect fit. The complete builds include options with the latest SRAM eTAP AXS wireless 12 speed groupsets, in both RED (on S-Works builds) and Force (on Pro level bikes). We'll be adding the frames to our online Bike Builder soon, so you can spec up your ideal Roubaix build. Meanwhile, to discuss options, just email us or pop into one of our stores. David Arthur has already tested the new bikes and was blown away by their performance, he reckons they completely outclass the competition at this pricepoint. Barry is also testing them, so look out for a more in-depth review soon, here on the Bespoke blog. With Roval CLX 50 wheelset, full Shimano Dura-Ace R9170 Di2 groupset. SRAM's stunning new AXS groupset, wireless electronic shifting for absolute precision and an incredibly clean frame, with minimal gaps between gears - because cadence always matters, and especially on long rides. Bringing AXS wireless electronic 2x12 shifting to a more accessible price point, the new Force gruppo is a great match to the sleek, integrated design of the Roubaix. With an Ultegra gruppo and a stunning paint scheme, this is bound to be a popular choice.